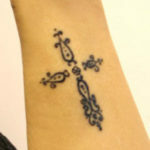 NAOHOA offers high quality body art designed just for you in a safe and professional environment. Visit the links above for more information. Visitors are welcome to view original and printed artwork during their stay - some of which are available to purchase. Prints can be made upon request. All tattoos at NAOHOA are original. 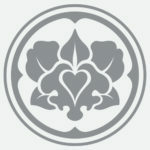 Click here to see more custom designs, unique to each client. 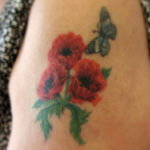 Every tattoo at NAOHOA is a bespoke one-off. 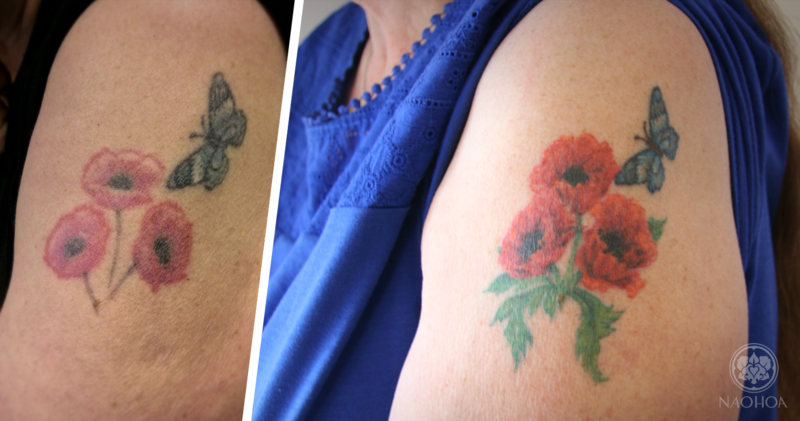 Want to hide a past decision or give an old tattoo a new lease of life? Click here to see more! 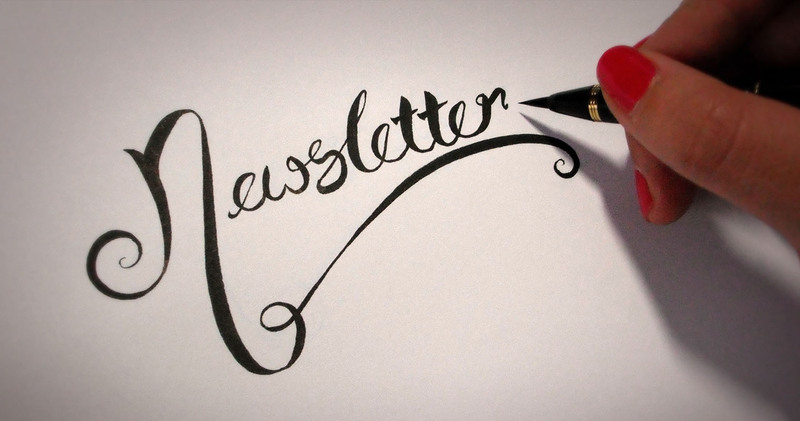 ....for every new NAOHOA customer. 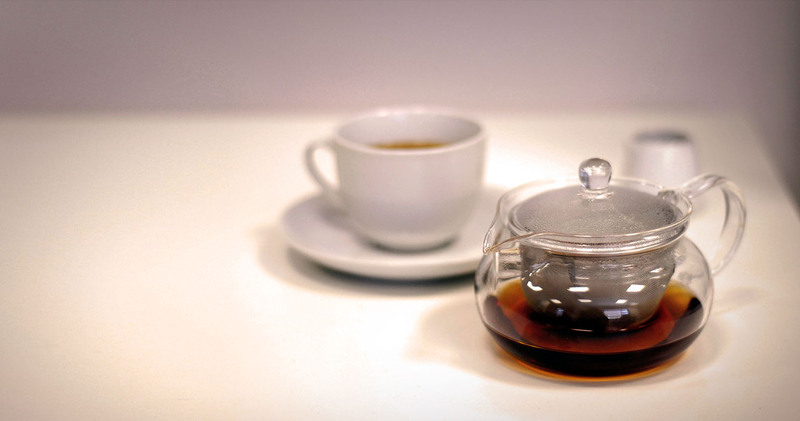 During your session, you can enjoy teas by Waterloo Tea or Illy 100% Arabica coffee. Any changes will be announced on a Twitter. Thanks very much to NAOHOA for my tattoo! From design to after-care, Naomi was very friendly, professional with high attention to detail. Very impressed by her studio, tools and the quality of her work. Highly recommended! I was looking for someone to do my first tattoo and and I could not be happier that I chose NAOHOA. The premises are very relaxing, none of your normal grungy/dark tattoo parlour atmosphere here. Its a really nice place to be, light, airy and relaxing...I actually nearly fell asleep half way through my sitting. The artist, Naomi, is very talented but is also a great hostess, very polite and so easy to get on with and talk to. We had an initial chat to discuss what I was after and a few days later she emailed me the design which I was over the moon with. I`m so happy with the result and will be booking my next tattoo with Naomi very soon. Give NAOHOA a try...you wont be disappointed. I was looking for someone to do my first tattoo and and I could not be happier that I chose NAOHOA. The premises are very relaxing, none of your normal grungy/dark tattoo parlour atmosphere here. Its a really nice place to be, light, airy and relaxing...I actually nearly fell asleep half way through my sitting. The artist, Naomi, is very talented but is also a great hostess, very polite and so easy to get on with and talk to. We had an initial chat to discuss what I was after and a few days later she emailed me the design which I was over the moon with. 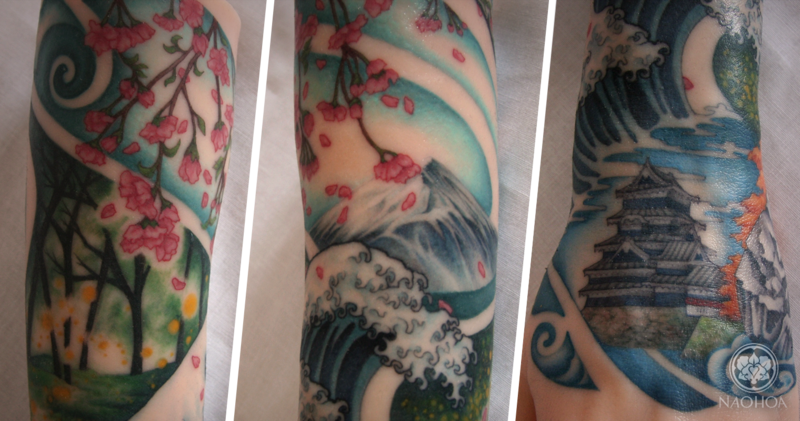 I`m so happy with the result and will be booking my next tattoo with Naomi very soon. Give NAOHOA a try...you wont be disappointed. Very professional and lovely to be around! Naomi is amazing at what she does, your made to feel right at home in the studio! I went to her with a number of ideas and she put them all together for me and designed something amazing. I'm so so happy with the tattoo and it's not even finished yet! Very professional and lovely to be around! Thankyou Naomi, cannot wait to get back down and get it finished! I've tried a few tattooists in Cardiff but feel like this is the one for me. Naomi of NAOHOA is very professional and friendly and amazing at what she does. Would recommend to anyone. Naomi is a brilliant artist, I think her work speaks for itself. As a tattoo artist she is incredibly professional and patient. I am not very good with pain and I struggle with the inner arm section of my sleeve. Each session we have, Naomi works on that area for as long as I can handle and then moves on to less painful areas. Part of my sleeve also involved a cover up; I couldn't believe how expertly Naomi managed this, even using some of the darker, more difficult to cover areas of the old tattoo as shaded sections of the new piece. I have had a couple of small tattoo done over the years, each by different tattoo artists, but now that I have been to Naomi I will definitely stick with her for all my future tattoos. I will most definitely come back for more! I’ve wanted a tattoo for years but could never settle on a design. I was introduced to Naomi a few months back and she agreed to design a tattoo for me incorporating elements of watercolour and geometrical symbols. I was immediately stunned by the design! The aftercare advice was very helpful and my tattoo was as shiny as the day I got it. Naomi is a wonderful artist and would highly recommend her studio. She is very professional, the studio is lovely and all the equipment is sanitized. I will most definitely come back for more! I've had the idea for my tattoo design for nearly ten years, but I was unable to get it due to extreme lack of artistic talent. Luckily that's where Naomi came in! She took on board my ideas and produced something better than I could ever have thought of. As a first tattoo experience it was a relaxing and welcoming environment, and Naomi made me feel at ease. 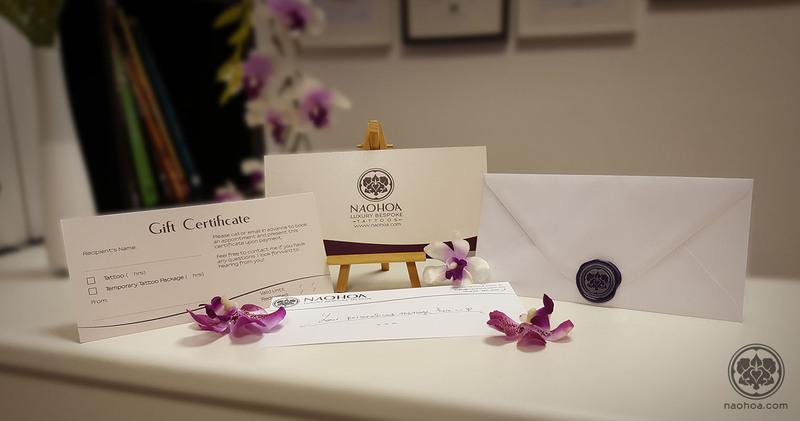 Far from the grisly, biker style tattoo parlour, NAOHOA feels luxurious; from the light and airy interior to the adorable goody bags with high quality aftercare. 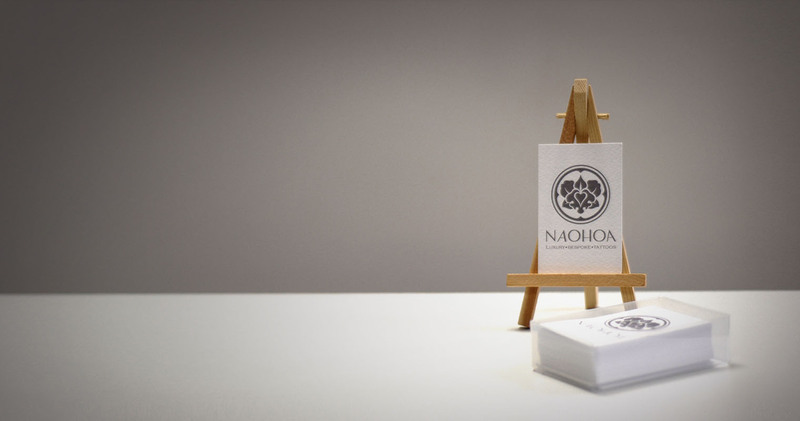 In short, if you want a high quality tattoo in a comfortable environment, NAOHOA is the place to go! I've had the idea for my tattoo design for nearly ten years, but I was unable to get it due to extreme lack of artistic talent. Luckily that's where Naomi came in! She took on board my ideas and produced something better than I could ever have thought of. As a first tattoo experience it was a relaxing and welcoming environment, and Naomi made me feel at ease. 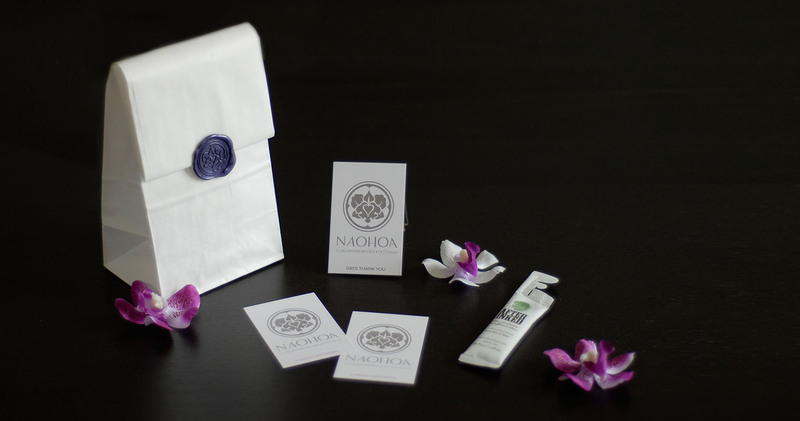 Far from the grisly, biker style tattoo parlour, NAOHOA feels luxurious; from the light and airy interior to the adorable goody bags with high quality aftercare. 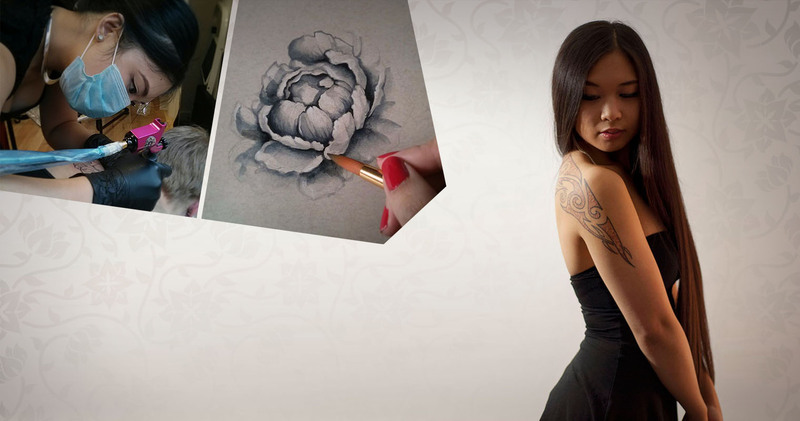 In short, if you want a high quality tattoo in a comfortable environment, NAOHOA is the place to go! 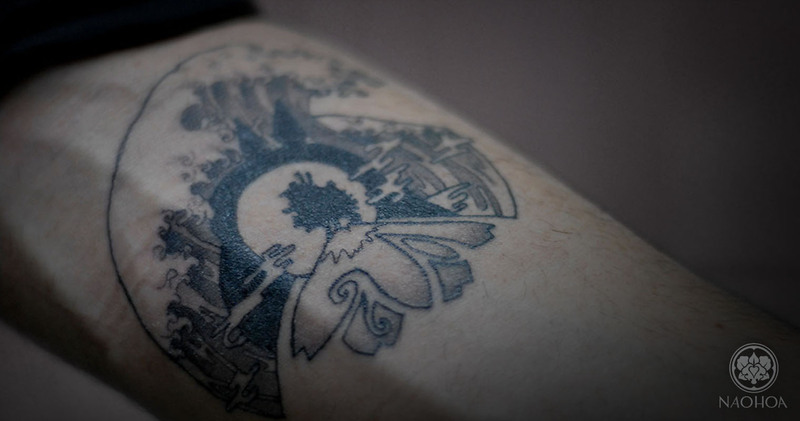 For a newcomer to the tattoo scene, NAOHOA has to be congratulated. I was encouraged to be involved in the design process before my visit to the newly opened studio, which feels well thought out and appointed. Naomi's wealth of experience shows in her execution and I couldn't be happier with the result.